Why Do Dogs Need To Be Secured In The Car? 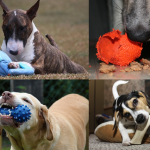 Harness Vs. Crate – Which is Best? 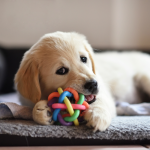 What Features Are Important in a Dog Car Crate? How Do I Measure My Dog for a Car Carrier? The best dog crate for car travel will be different for every dog. Some dogs will benefit from a cozy crate that doubles as a bed when not in use. Other dogs need a highly secure crate that can withstand even a powerful attempt to escape. All dogs need a crate that is safe, comfortable, and lets them enjoy the ride. Once you have the best dog crate for your new rescue dog or puppy in your home, you will need a high quality crate for traveling in the car. Read on to learn why a car crate is important, as well as some of the safest dog crates for car on the market. Most dogs love to ride in the car. The wind rushing by carries all kinds of interesting smells that your dog just can’t take in quickly enough, while every stop gives your dog a chance to take in an interesting scene. 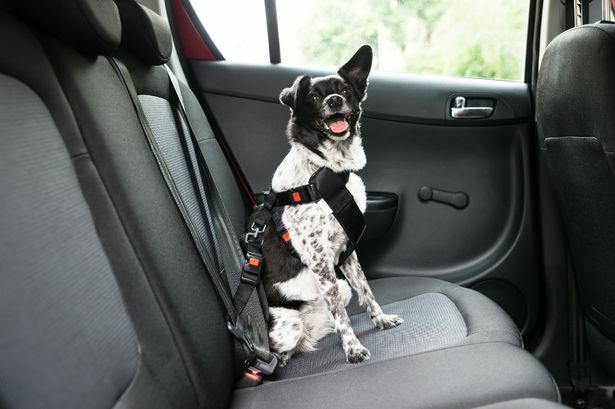 Add to this the fact that usually going in the car means your dog is going to a fun destination, and it makes perfect sense that being in the car would be a very exciting thing for your dog. Why not just let your dog enjoy the run of the backseat, taking in the sites from every angle she can? Well, if you’ve ever had this experience, you probably know that there are good reasons to contain your dog in the car. Your dog will do a lot of damage to your car seat, doors, and windows over the years. Your dog will dig her nails into the upholstery when the car moves and stops, scratching or even piercing it. whether you have leather or fabric upholstery, it will show damage soon enough. If your dog tends to drool, which many dogs do as they get excited and pant in the car, you will soon have white gunk on your windows and the door of your car. The dried on drool is very difficult to clean, and can affect the functioning of window controls, locks, etc. Your dog can distract you as she jumps around in the back of the car, and if she jumps into the front seat, she can create a dangerous situation for herself, you, and everyone else on the road. Even if your dog is generally very calm in the car, an unexpected new site or sound may cause her to behave uncharacteristically. If you have anyone else in your car, they may not appreciate your dog jumping all over their laps to get the best angle on whatever is going on outside of the window. Your dog can quickly turn a pleasant car ride into a very uncomfortable one for your guests. 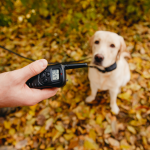 While they may be nice enough to not say anything about it, they may not want to go with you and your dog on your next outing. Your dog’s safety is in jeopardy when she is not strapped into your car in some way. If you were to get into an accident, your dog would likely be thrown from the vehicle. Secured safely in a crate or harness, however, your dog will stay in the car in the case of a collision. A crate can also offer some protection from impact and debris. You love your dog, and you don’t want to take the risk that she could be injured or killed while you remain safely in your seat, held in by your seatbelt. There is more than one way to keep your dog firmly in one spot. Harnesses offer your dog more freedom, acting more or less as seat belt attachments for your dog. Harnesses do nothing for your upholstery, windows, or door. If you keep your dog firmly in a middle seat you may be able to prevent drooling on the windows and doors, but this won’t protect the upholstery, and your dog may be able to reach into the front seat. 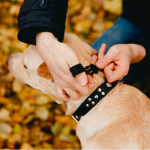 If you get into an accident, a harness can hold your dog in place, and offers as good of protection as a crate does as far as keeping your dog in the car. If the harness isn’t fit well, it is possible that it could hurt your dog, but a well fitted harness should safely keep your dog in the seat. For most dogs, a crate offers a good compromise between safely containing your dog and letting her enjoy the ride. A crate lets your dog brace herself against comfortable padding that offers good traction. Your dog will feel more secure, and your upholstery will be saved. 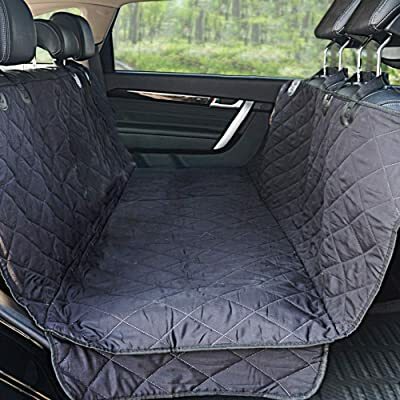 All car crates on this list offer good ventilation so that your dog can still enjoy the smells on the breeze while keeping heads and bodies safely in the car and drool off of your doors and windows. The most important feature in your dog’s new car crate is safety. You need a crate that is capable of containing your dog, even if she is excited. If your dog is smaller and generally calm in the car, you can get away with a fabric and mesh design, but if your dog is rambunctious or powerful, and especially if she is reactive to other dogs or strangers, you need a sturdy crate that can withstand some abuse. The best travel dog kennel will meet your dog’s specific needs. Do you want a crate that can move smoothly from car to destination and back again, or are you looking for a built in feature that your dog can easily jump in and out of? Some crates take up the entire back seat or back of an SUV, so that your dog or several dogs can stretch out and enjoy the journey. Other crates are cozy and comforting for the nervous pup. Do you want to take your travel crate into the airplane as well as the car? Make sure you choose a model that meets specifications for airline travel so that your dog will be able to go anywhere with you. 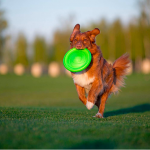 The AKC gives specific parameters for how to choose a big enough carrier for your dog. While you can always go bigger, a very large carrier won’t give your dog much safety or support in the space. According to the AKC, a carrier should be big enough for your dog to stretch out or curl up when lying down. Your dog should easily be able to turn around in the crate and her back shouldn’t touch the top of the crate. To find the right size crate, measure your dog from the neck to the base of the tail and the shoulder to the ground, then add several inches, more for soft crates. Crates are also rated by weight, so make sure the crate you choose is approved for your dog’s weight. If you have a large, powerful dog which you really don’t want getting out, you want to invest in a crate strong enough to keep her contained no matter what she smells outside of the car. This durable crate isn’t cheap, at nearly $500, but it is heavy duty enough to contain even the strongest dogs up to 75 pounds. A double wall insulates the crate against temperature extremes, which can be important if you don’t have temperature control in your vehicle. This crate is the only five star crash test rated crate. If you want to protect your dog as well as possible in case of an accident, this is the way to go. Your dog won’t be thrown from the crate or vehicle, and she will be protected from debris as well with the durable plastic walls. This crate is escape proof as well, with a locking paddle latch door and back up safety latches. This door is custom welded and has powder coating on the aluminum frame, so that it will stand up to the elements and your dog’s chewing through the years. For those with a new puppy or a nervous small dog, a cozy and secure travel crate can help make travel fun and easy. This little crate also comes with a comfortable shoulder strap so that you can go from car to your destination with ease. 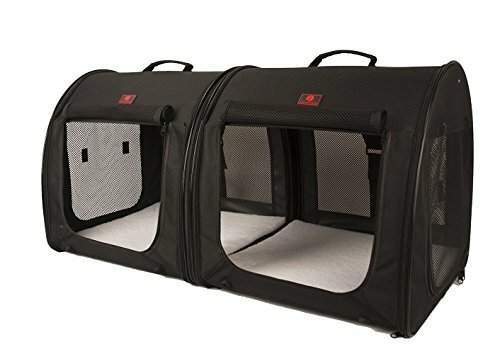 It is important to socialize your young puppy, but you don’t want to expose her to anything that other dogs might carry until she has finished with her vaccinations, so a convenient carrier like this is important to let you bring puppy along while keeping her safe from contagious disease. The domed top can be removed, turning the carrier into a comfortable bed for your dog. 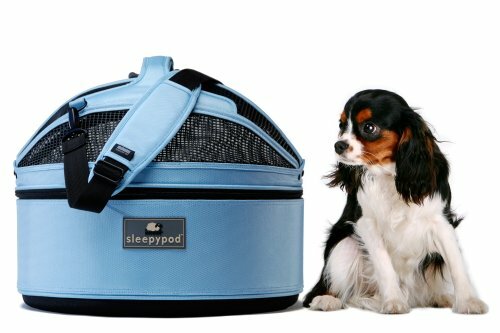 This can greatly reduce the stress of traveling, since your dog will already be accustomed to the crate as a bed. This carrier is made of a durable luggage grade nylon outside and is ultra plush polyester inside. A padded shoulder strap and handle are included so that you can easily carry your pup however you like. The bedding that comes with this crate is washable, and the foam liner is water-resistant, so you know you will have this crate until your pup is grown and much longer. Do you have several smaller dogs that like to travel together–well, most of the time? This versatile crate lets your little dogs enjoy riding together, or you can separate them for some alone time when they need it. The crates fit smoothly into your backseat. If you only want to use one, they can easily be detached and look graceful as single units as well. Built in straps make it easy to connect these crates to your seatbelt so that your dogs will stay firmly in place in case of an accident. You can set up and fold flat these units in seconds, so that you can easily store them when they are not in use. They even come with individual carry cases to make storage even easier. These crates come with an optional hammock that is ideal for cats, but may be appreciated by smaller dogs as well. The hammock will hang steadier as the car moves around, which may help reduce car sickness. These crates have a lot of ventilation, both as single and double units. All this mesh will give your dog plenty of opportunity to smell the breezes from your open window from the safety of her own space. 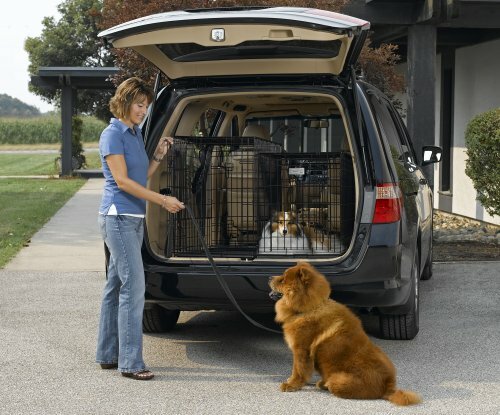 If you have an SUV or van that opens from the back and dogs that aren’t always clean when they get in the car, you may want a dog crate that lets you load your dogs directly into the back. 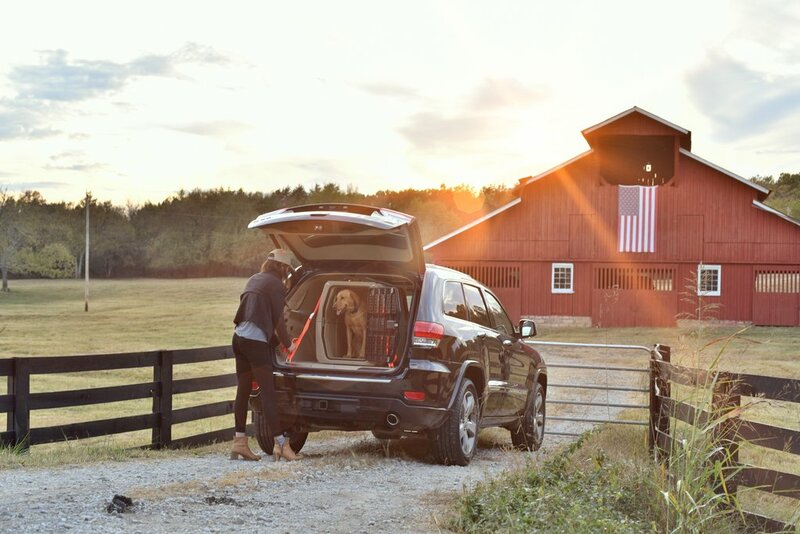 This effective crate is designed to fit two crates in the back of your vehicle so that two dogs can travel in comfort and safety, while enjoying the view out the back. This is a collapsible wire crate that can be conveniently stored when not in use. You can even collapse the crates in the back and store your groceries and other stuff on top of them when you aren’t transporting your dog. 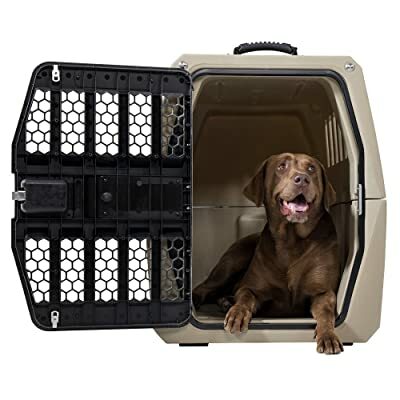 There is both front and rear door access, so that you can load your dog in this crate from the back when your dog is dirty and let her out from the front if you are camping in your van and want to share the space with your pup. The wire design allows plenty of airflow and won’t rust, due to the durable e-coat. A plastic pan is included as well for easy cleanup. 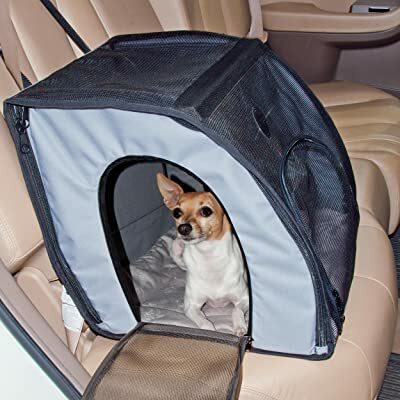 This is a crate designed to keep your dog safe and comfortable whether she is traveling by car or plane. It is made to meet U.S. airline standards, so you can feel confident that your best friend can come with you. A water and food tray are included with this crate. They are securely attached to the door so that you can easily give your dog food or water without making a mess in the crate. Easy to access storage compartments make certain that you will have important items like treats and leash on hand at all times. There is plenty of ventilation provided by the front grate, and the escape proof design of the door will make it extremely difficult for even the most clever canine to get out. A carrying handle is included for easy transport. Does your dog love to soak in the smells and sights of the road, but can be a little overly energetic in expressing her enthusiasm? This effective carrier straps very securely and safely into your car using your car’s seat belt and also has a secondary strap to go around the headrest for extra security. The entire face is mesh, so that your dog will have an unhindered view and a great breeze. You can easily fold this carrier flat so that storing and transporting the carrier without your pet is a breeze. There are multiple entries, allowing for versatile use. A one year warranty can make you feel good about your decision to purchase this carrier. While it isn’t heavy duty enough to stand up to a very destructive dog, this is a secure carrier that is appropriate for the average family pet. Choose between three sizes to get the ideal sized carrier for your pet. The bottom pad of this carrier can be removed, making cleanup after messes easier. If you want to contain your large dog without a crate and want to protect your upholstery, this is a good option. This hammock won’t protect your dog from impact as well as a crate, but it can stop your dog from being propelled into the front seat in the incident of a crash. While your window and door will still be drooled on, this hammock protects the back of the front and front of the back seat, as well as protecting the seat and floor. If you don’t mind your dog dominating the back seat, and she is well behaved enough to stay out of the front seat, this might be a good pick for you. You can also use this hammock with a car harness to contain your dog in the center, preventing too much movement in any direction. This cover effortlessly converts between hammock and seat cover, for versatile use. It is waterproof to it will thoroughly protect your seat and has non slip backing and anchors to keep the cover from sliding around on your seat. It is easy to install this hammock in any car, truck, or SUV. It is machine washable and guaranteed with a money back refund promise. Traveling with your dog in the car can be a lot of fun. The right crate gives you the best possible travel experience with your dog. The crate you choose will depend on many factors. Powerful dogs that may try to escape the crate while you are driving require a heavy duty crate that will contain them comfortably. Smaller, more nervous dogs may need a crate with lots of padding and comfort to make them feel at ease. If your dog is often very dirty when she gets in the car, you may want a crate with rear entry so that your dog can go from ground to crate without ever dirtying your car. 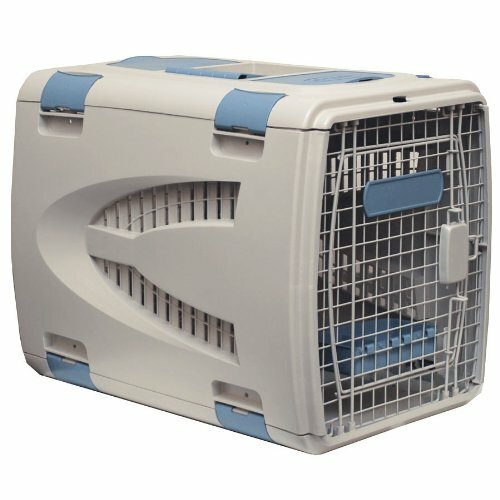 Think about your dog and situation and choose the right crate for your dog to travel in safety.